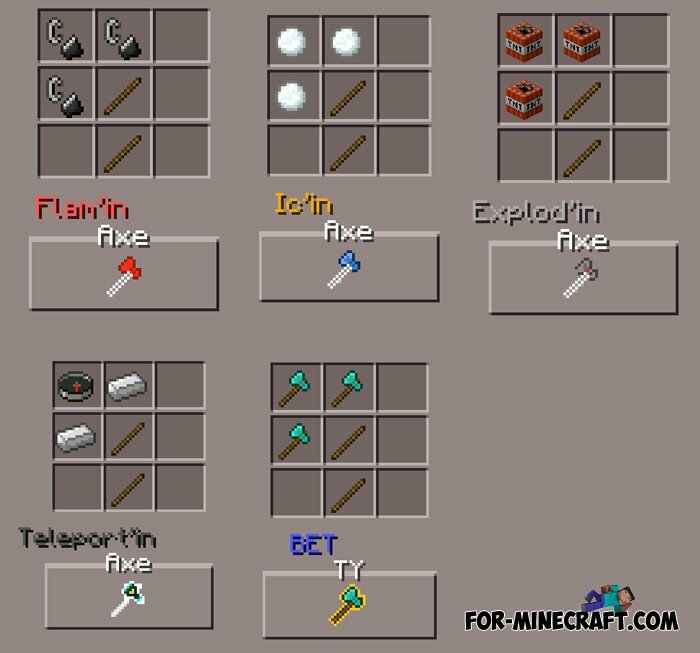 Mo'Axes mod adds five magical axes in the arsenal of weapons. 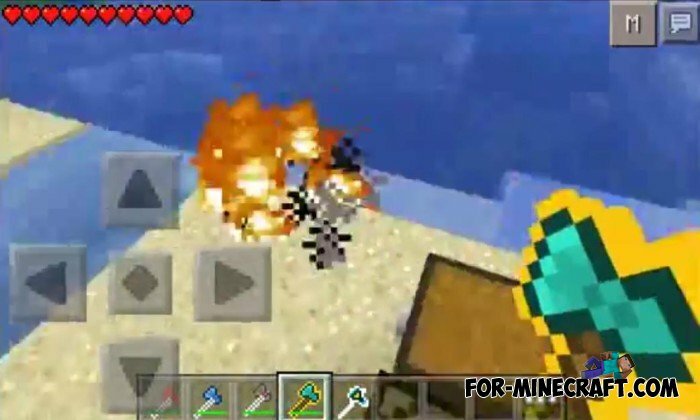 Four of the five axes is much more powerful than any of the axes that are in Minecraft PE. Fifth ax can only be used for teleportation in battle can not be used. Flam'in Axe - gets 7 points of damage and thus ignites enemy. Ic'in Axe - gets 7 points of damage. Explod'in Axe - explodes on impact all that is necessary to strike. BETTY - gets 50 points of damage and can ignite the crowd of enemies. Teleport'in Axe - teleport to any place.